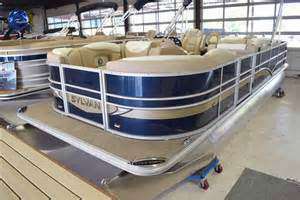 2001 Sylvan Space Deck This boat was kept in Wisconsin until the present owner purchased her in 2011. 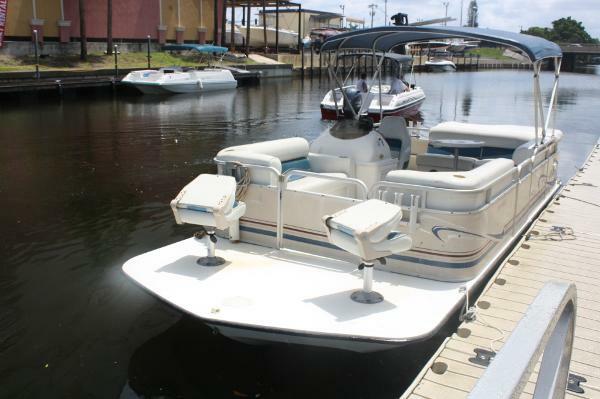 He felt the boat was underpowered so he paid a certified Mercury Dealer to install a brand new 150 Optimax in 2012. As a result the boat goes 58 MPH! What a hoot! 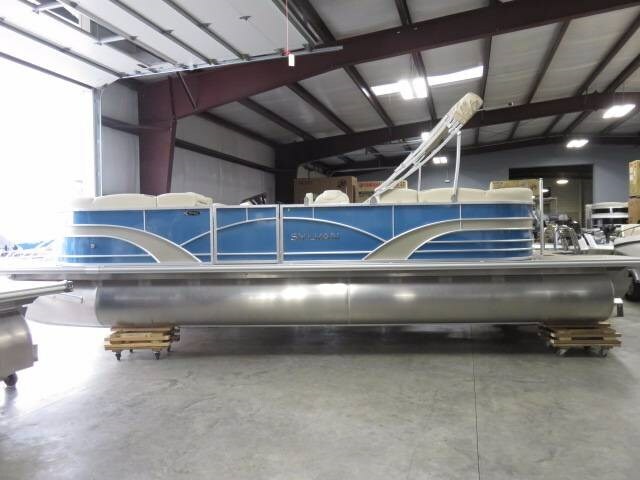 The vinyl is serviceable and so is the canvas the boat has minor dings as befits her age but she is a really nice boat at the right price. 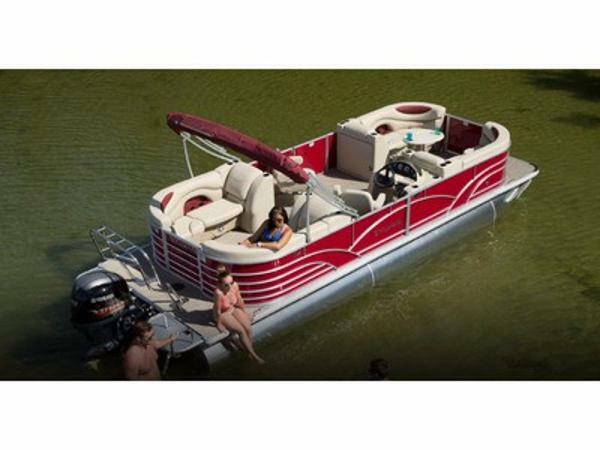 The price is simply base boat + trailer+ engine at Average NADA. Freshwater boat. Trailer is in good shape. Stereo is inoperative. 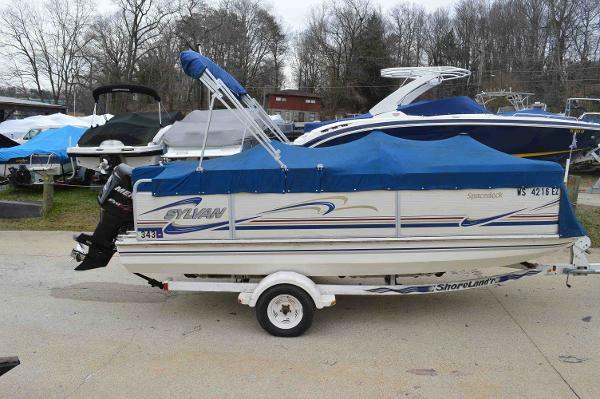 2005 Sylvan 2200 Space Deck 2005 Sylvan 2200 Space Deck Very clean boat ready to go with trailer. 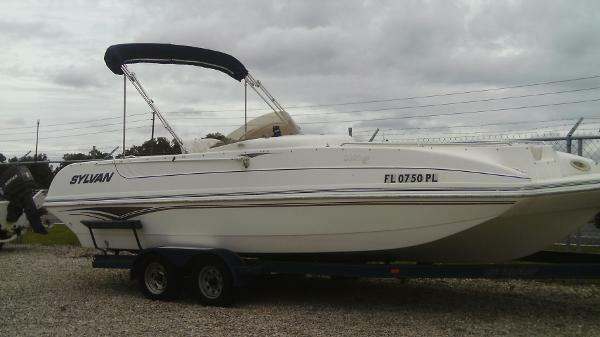 Very nice all interior in grate shape ready to go..
2001 Sylvan 2100 Space Deck Fish & Cruise Boat is in good condition. Has electronics. 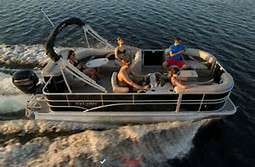 Motor is a 2013 E-TEC with 3 years warranty on motor - essentially you are buying the motor and getting the boat for FREE!! Contact us - this wont last long!! 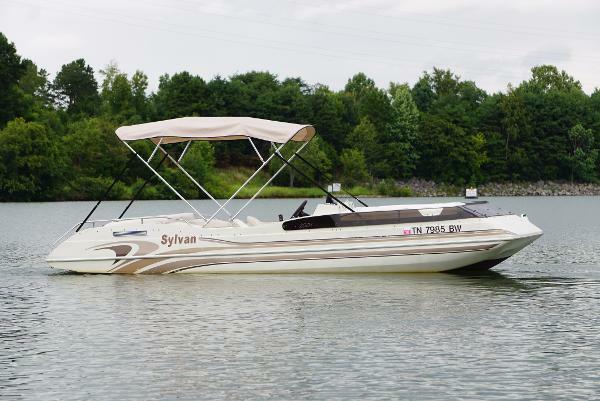 1996 Sylvan 2001 Space Ship 1996 Sylvan 2001 Space Ship This deck boat is great for days out on the lake with family and friends! 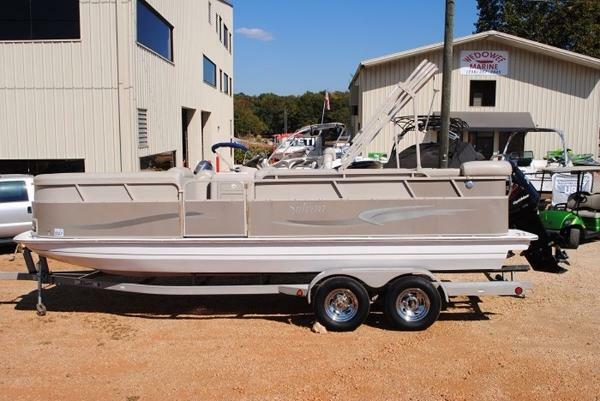 Features a Lowrance depth finder, Humminbird Helix GPS, trim gauge, radio (with 4 speakers), boat cover, swimming ladder, and a new bimini top (2016)! 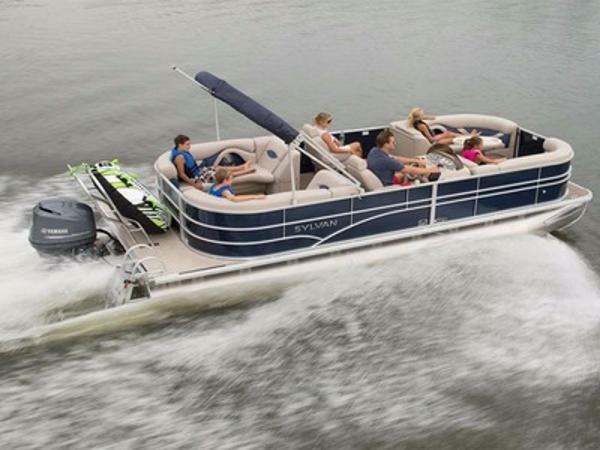 Powered by a 4.3 L MerCruiser I/O with dual fuel tanks. Does not include trailer. Call or email for more details. 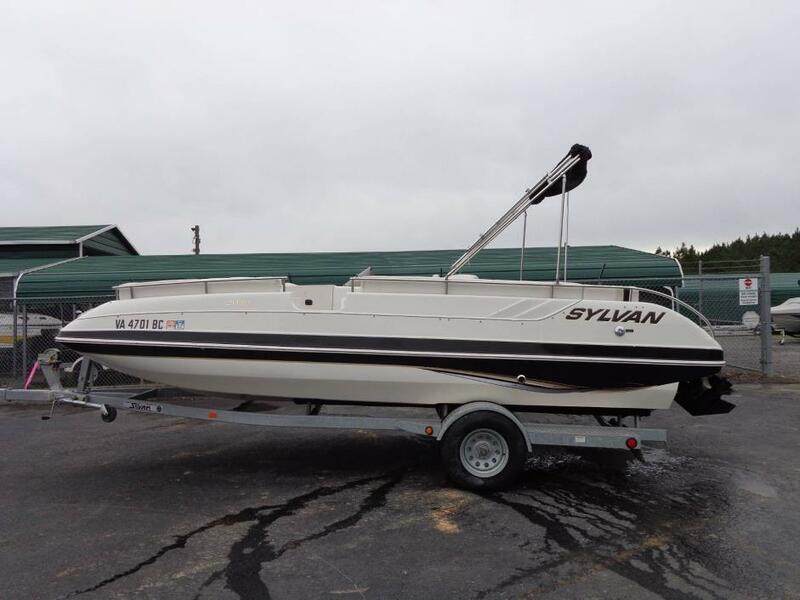 2003 Sylvan 2030 Space Ship I/O This unit is being sold on consignment "AS IS" with no warranty. Engine compression test was performed and fell within factory specifications. Shift cable and bellow have been replaced. 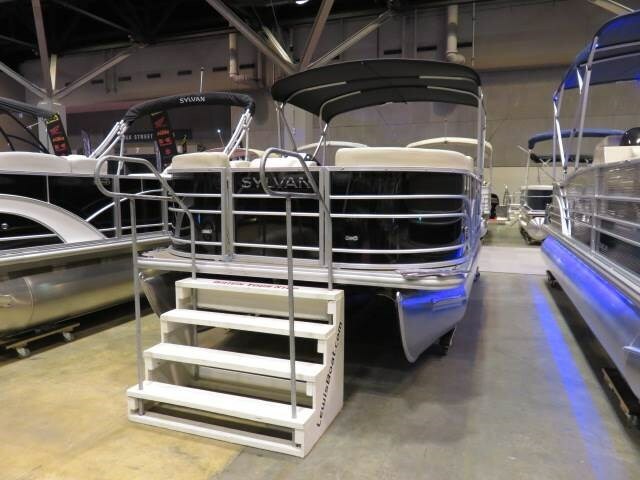 The Sylvan 2030 Space Ship features rear entry, Porta-Potti, L-group seating, wrap-around couches, 55-gallon fuel tank, and sundeck. The Space Ship is ideal for swimming, cruising or skiing. 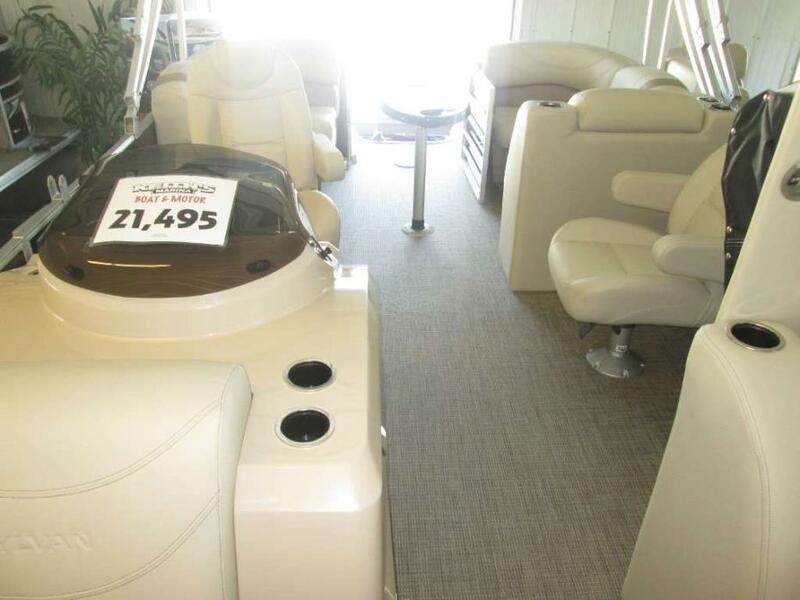 It has cushy seating groups, cup holders, bow and stern boarding ladders, and a ski eye. All Space Ship models feature seven-layer fiberglass construction and are finished in durable ISO NPG marine gelcoat. 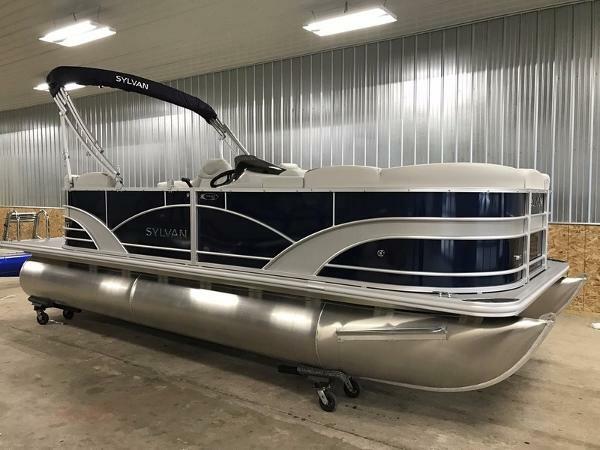 2016 Sylvan Mirage Cruise 8520 Cruise LZ, Mirage 8520 LzThe new 2017 Mirage 8520 lz is redesigned with integrated rear platforms to give you more deck space, comes with Mercury 40 efi engine, bimini top, stereo, sea weave flooring and so much more. © SmartMarineGuide New York, NY - All rights reserved.